Remove the Torx T40 bolt holding the headlamp to the right hand headlamp bracket. Fit an M8 washer onto one of the M8 x 30mm bolts, then the right hand screen bracket, and finally one of the stainless bushes. Now fit this assembly onto the right hand headlamp bracket and tighten the bolt. 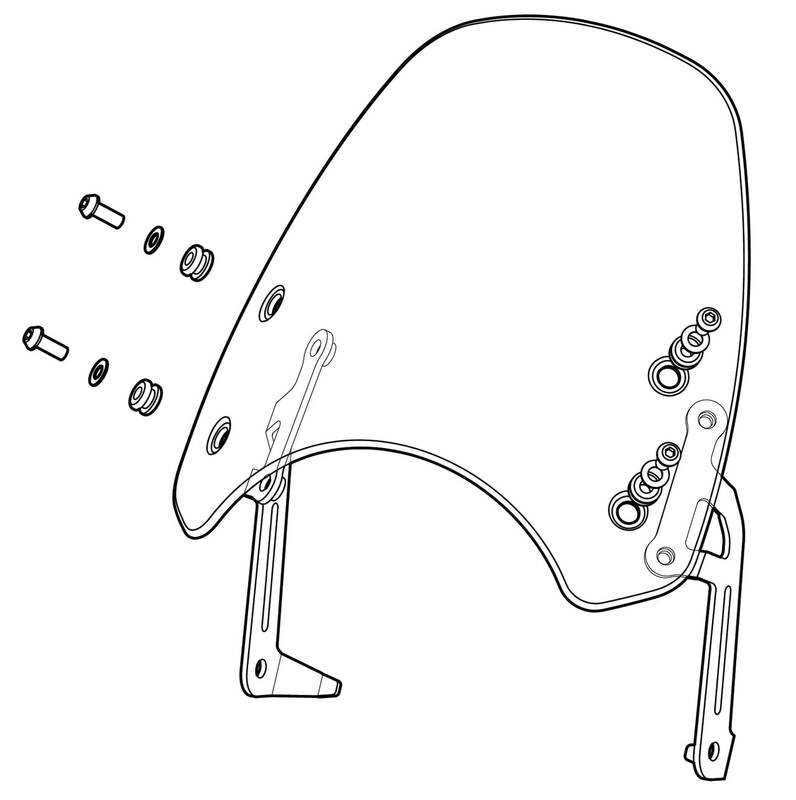 Ensure that the triangular part at the back of the screen mounting bracket is resting in the ‘V’ of the headlamp bracket before tightening.